When humans run, or kangaroos hop, we slow down and speed up with every step. This appears very hard work – mechanisms that reduce speeding and slowing (ice-skates, wheels, boats) vastly improve the economy of motion. But if two-legged animals try this (without skates), their legs act as levers, spinning their bodies. The paper shows that running humans actually allow a bit of levering and spinning, and we benefit by slowing down less than we would otherwise have to. And this trick would be particularly valuable to kangaroos, with the problems of spinning reduced by the inertia of their tails.  When humans sprint, one of the things they appear to be limited by is the forces that can be imposed by – or, equivalently, existed by – their legs. 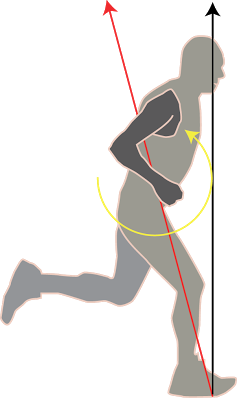 This means that we shouldn’t be able to run as fast going around bends, as we ‘feel’ heavier due to the combination of centripetal acceleration (towards the centre of the bend) and gravity (down). This simple force limit allows us to predict how much we ‘should’ slow down going around the bend (but remember that other limits – such as skidding – may apply). And it works pretty well for 200m sprinters. Indoor 200m sprints are on tight, banked tracks (which removes problems with skidding), and tend to be slower than on outside tracks (which have much wider bends). The model does a good job at predicting the population of 200m times at the 2004 World Indoor Championships, using the Olympic outdoor times of the same year and the assumption of a limb-force limit. Further, the model successfully predicts the handicap experienced by athletes running on the inside (tighter) lanes. In fact, the disadvantage of inside lines is so extreme that, since 2004, the IAAF has abandoned the indoor 200m event at the highest levels. But see the galloping section – the same constraints don’t appear to apply to greyhounds.